There has been numerous defensive midfielders linked with Manchester United in past few months. The reports in England suggested that Manchester United are linked with West Ham young star Declan Rice. The 20-year-old has been subject to interest from various European clubs. Rice made 66 appearances across all competitions for West Ham, scoring two goals and supplying one assist in return. The 20-year-old has been touted as one of the brightest young prospects in England. As a member of England national football team, Rice won two caps. His performances have seen him become the target of many Premier League clubs including Manchester United. 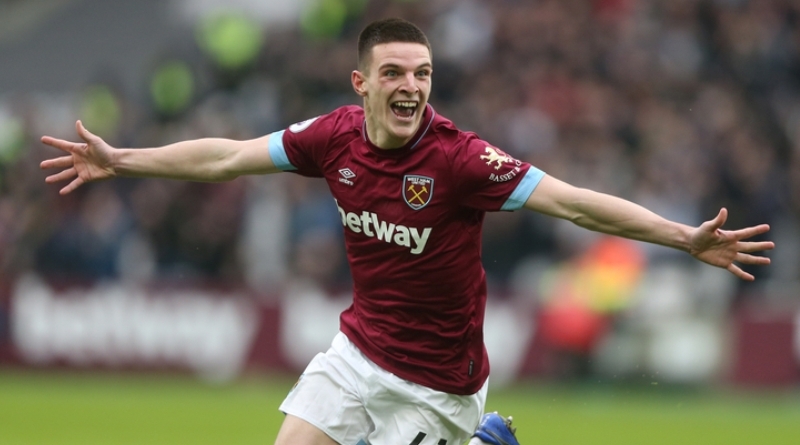 Ole Gunnar Solskjær is looking to shore up his defensive and midfield options and West Ham’s Declan Rice happens to be a target. The England international is thought to perfectly fit the profile of defensive player Ole Gunnar Solskjær wants to target in the summer transfer window. His versatile nature can help the manager to be more flexible with the formations. West Ham would be wise to keep the England international, but if they do let him go expect it to be for a hefty sum. If Rice turns out to be a star player like many expect, it could be one of the club’s smartest transfers. Undoubtedly he would be a fantastic recruit for Manchester United.